always a STIHL dealer near you. Visit your local STIHL dealer today. STIHL Full Line dealers have trained and knowledgeable sales staff and factory trained technicians for all your sales and service requirements. They have access to all STIHL Gas, Battery and Electric Power Tools and provide valuable information during your purchasing process. STIHL iMOW® dealers are the resource for all your robotic mower needs. They have the training and expertise to provide personal advice and professional installation services, right from the start. They are fully qualified for installation, maintenance, repairs and annual service of your robotic mowers. 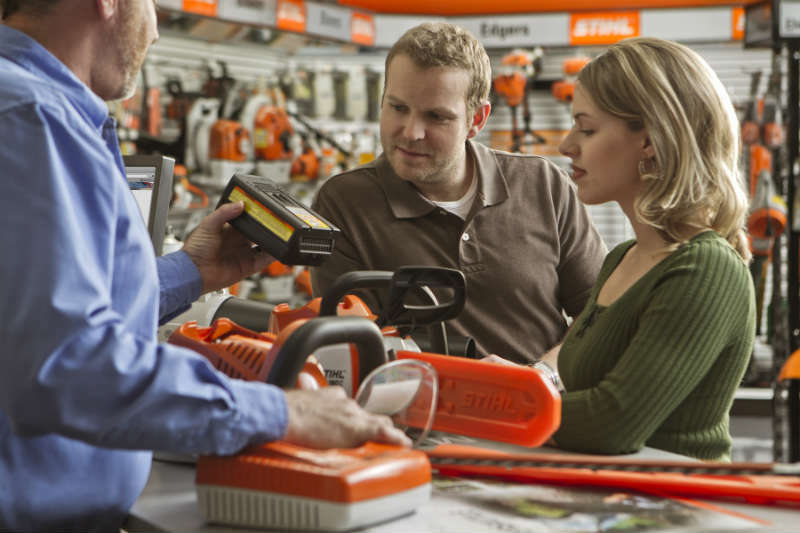 STIHL Battery and Electric Retailer’s (BER) are committed to offering you a wide selection of consumer Battery and corded Electric power tools. Typically, BER designated stores have extended hours for your shopping convenience but may or may not offer on-site service.